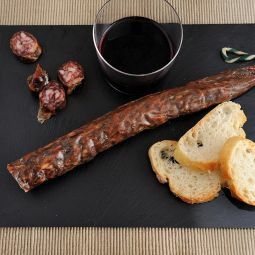 The Llonganissa Salami from Vic is probably the most emblematic dried sausage from Catalonia. 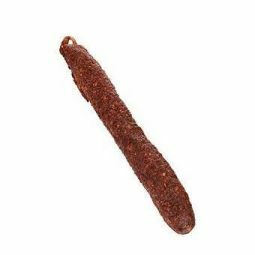 The great quality and the outstanding taste convert this salami into an authentic delicacy. 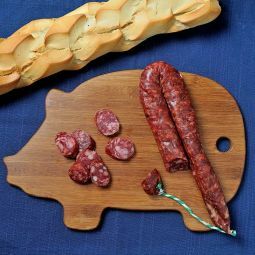 Our Llonganissa Salami from Vic is one of the most typical charcuterie products of Cataluña. 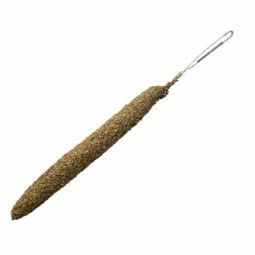 It is traditionally manufactured and maintains the great taste that made this salami famous. 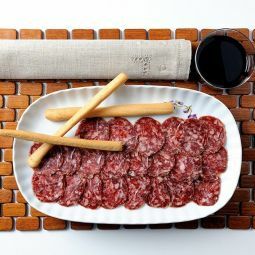 The salami presents a intense and brilliant red colour and by cutting it you can see perfectly the small, white dots of fat and the black pepper grains. 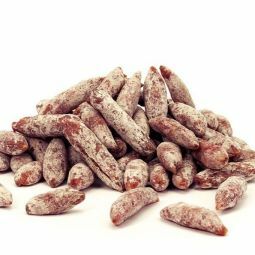 Our Llonganissa Salami is a natural product made with natural casing. The casing gains its remarkable flora during the drying process. 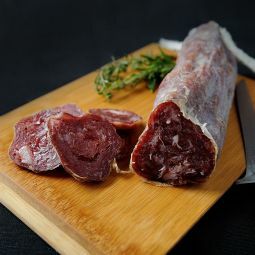 You are going to love our Llonganissa Salami from Vic for its juiciness and its great taste. 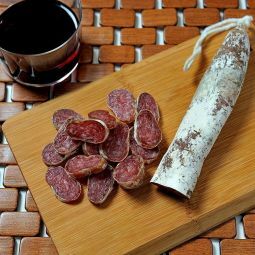 The salami is perfect as a snack and it is ideal for sandwiches.